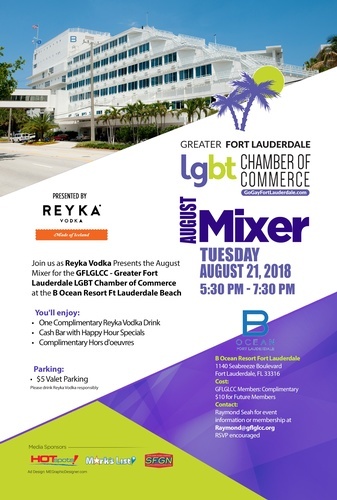 Join us as Reyka Vodka Presents the August Mixer for the GFLGLCC - Greater Fort Lauderdale LGBT Chamber of Commerce at the B Ocean Resort Fort Lauderdale Beach. 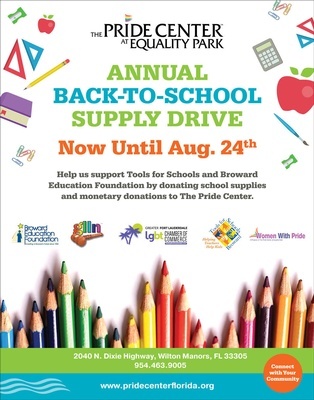 We've joined forces with the Pride Center to sponsor the Annual Back to School Drive, which supports Tools for School and the Broward Education Foundation. Please bring your school supply donations to help teachers and students be prepared for the 2018/2019 school year. The Pride Center will also have someone on hand to accept financial donations.